Aggressive drivers are looking forward to sharing the road with autonomous cars as they believe they can cut in front of them easily. This is how Peter Campbell summarised in the Financial Times one of the key conclusions of a wide reaching research project by the London School of Economics and Goodyear that investigated how drivers feel about interacting with autonomous vehicles (AVs) on the road. Drivers who are more “combative” tend to “see autonomous vehicles as easier agents to deal with on the road” than humans, because they think they will be able to “bully” them, . On the other side, “more co-operative road users tend to be less open to cars that drive themselves, it adds, but will be happy to give way to them. AVs are not simply another new technology. They are a technology that is gradually emerging into an intensely social space. It is therefore no surprise that a wide range of factors influence the public’s levels of openness towards them. The interaction between human drivers and autonomous vehicles is one of the key hurdles facing developers of the technology. Unspoken rules of the road, such as letting cars out from behind a stopped bus, are difficult to replicate without human behaviour. […] Some people in the focus groups who identified themselves as combative drivers said they would take advantage of the inbuilt safety features of driverless cars that will limit their speed and make them more cautious at junctions. […] Because self-driving cars will be programmed to avoid accidents, they are likely to err on the side of caution. This could allow drivers to take advantage of them to gain right of way on the roads, evidence suggests. The research (download executive summary) views the road as a “social space.” Drawing on a combination of focus groups – two in both Poland and the UK, and one each in Germany and Spain – and an online survey covering approximately 12,000 respondents in 11 European countries, the research uncovers a number of rationales behind drivers’ responses to AVs. It aimed to measure and understand the level of “openness”’ people have towards AVs and, conversely, the situations in which people hope to avoid engaging with these vehicles. 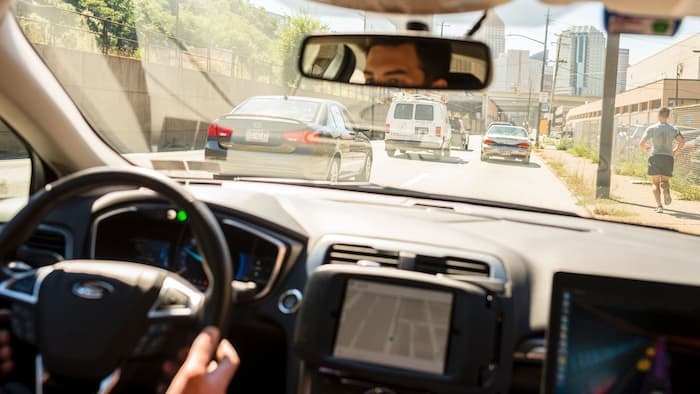 The researchers argue that a successful introduction of AVs will ultimately depend on understanding and addressing the complex attitudes that define the public’s view of this new technology. The post Study says aggressive drivers see autonomous cars as easy prey appeared first on Putting people first. Why is representing a language with an icon so tricky?